33 Bowen is a true "Hamilton monument" with an illustrious place in Hamilton’s history. The original structure constructed by James Bradley in 1844, was purchased from George Hamilton himself. 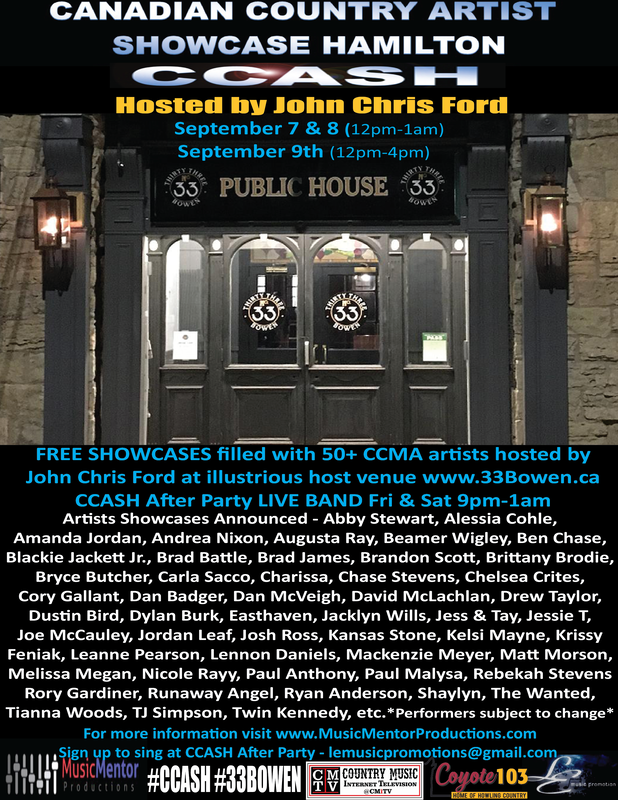 We’re excited to present CCASH at 33 Bowen with great food, drink and FREE CCASH showcases. Canadian Country Artist Showcase Hamilton (#CCASH) presented by Music Mentor Productions and LE Music Promotions are FREE SHOWCASES filled with 50+ CCMA artists during Country Music Week and hosted by John Chris Ford at host venue The George Hamilton - 152 King Street West Thursday, Friday and Saturday 12pm-1am, September 6–8th. The George Hamilton is conveniently located across from The Sheridan Hotel (CCMA host hotel). 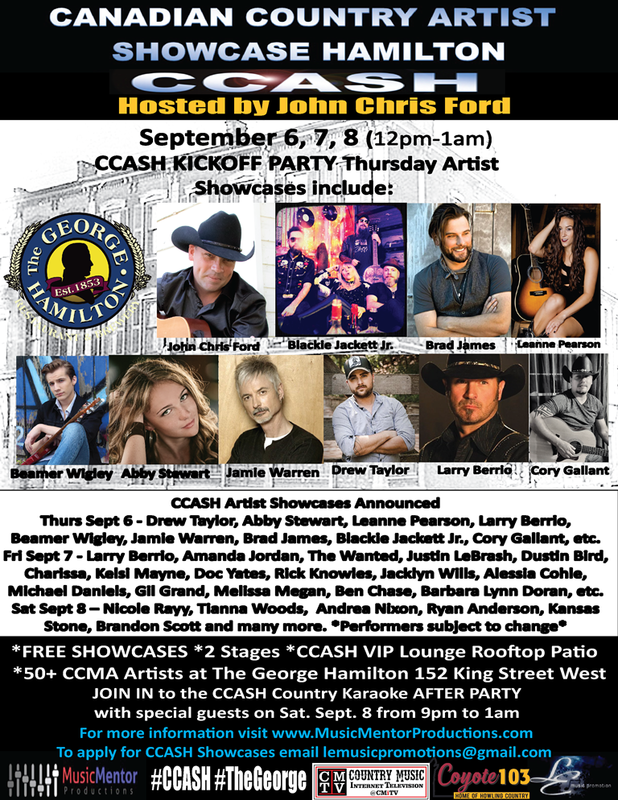 The George Hamilton will have a stage on the main floor and a stage on the rooftop patio for the CCASH VIP Lounge. 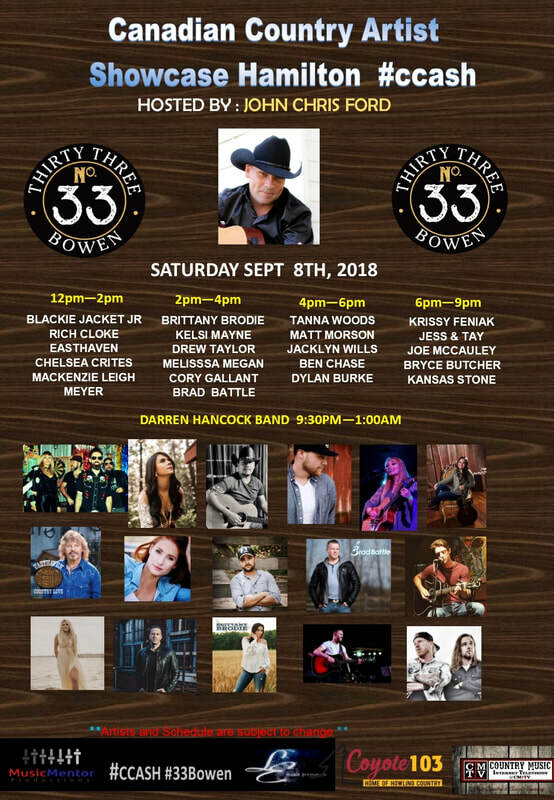 Sign up and sing - CCASH Country Karaoke After Party on Saturday Sept 8th from 9pm-1am on the main level. Hope to see everyone at Youth Day Toronto Sun July 22nd - Music Mentor Productions and Hometown Music Council will be featuring Carla Sacco at 12:30pm singing Dance Children Dance, cowritten by Mina Whitesides and Peter Linseman with official video being shot by director Hayden Salter and still-photos by Ken Aitken. Lorand Kis performs at 4:55pm fresh off the release of debut album 'Could You Imagine' that I had the great fortune of producing. YOUTH DAY Toronto is in it's ninth year and what a special year it is! Kate led the Kimberlite Enterprises Youth Choir, the SIPO Foundation and the Girl Guides of Canada to sing our national anthem, celebrating the 50th anniversary for the The Flag of Canada on Sunday JULY 5 2015. 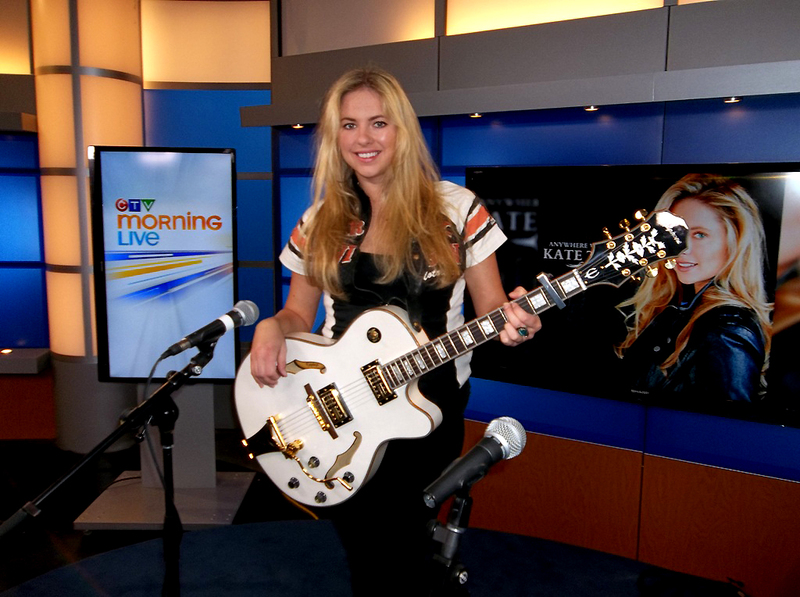 Kate was at the SIPO Foundation booth for photos and autograph's in the afternoon. 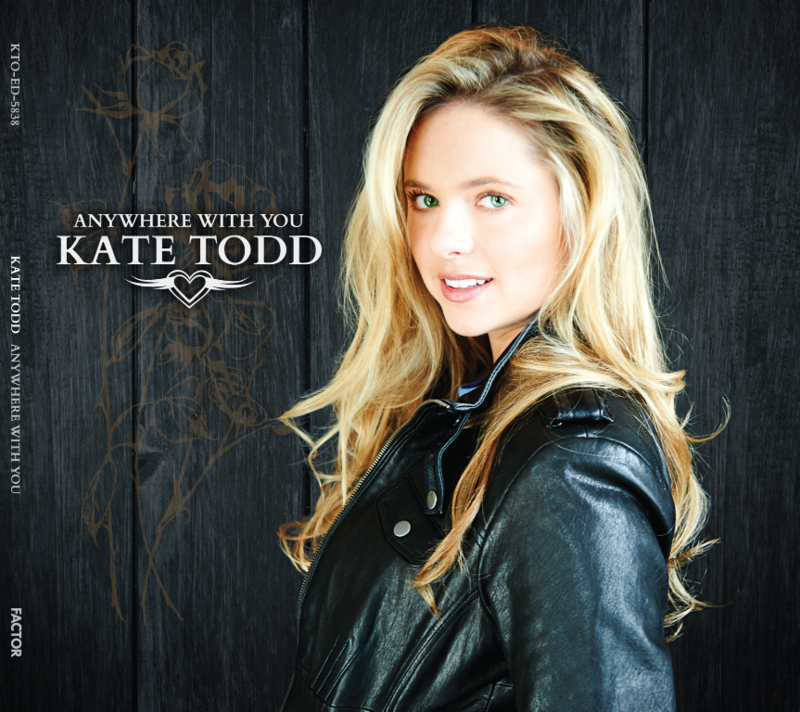 ALSO Kate Todd's performance at 9:45 pm! Thank you to all who came out to YOUTH DAY Toronto, joined Kate Todd and shared their experience on the Flag of Canada’s 50th Anniversary Digital Yearbook! YOUTH DAY Toronto – YD|TO15 – Sunday JULY 5 2015 at Yonge-Dundas Square. 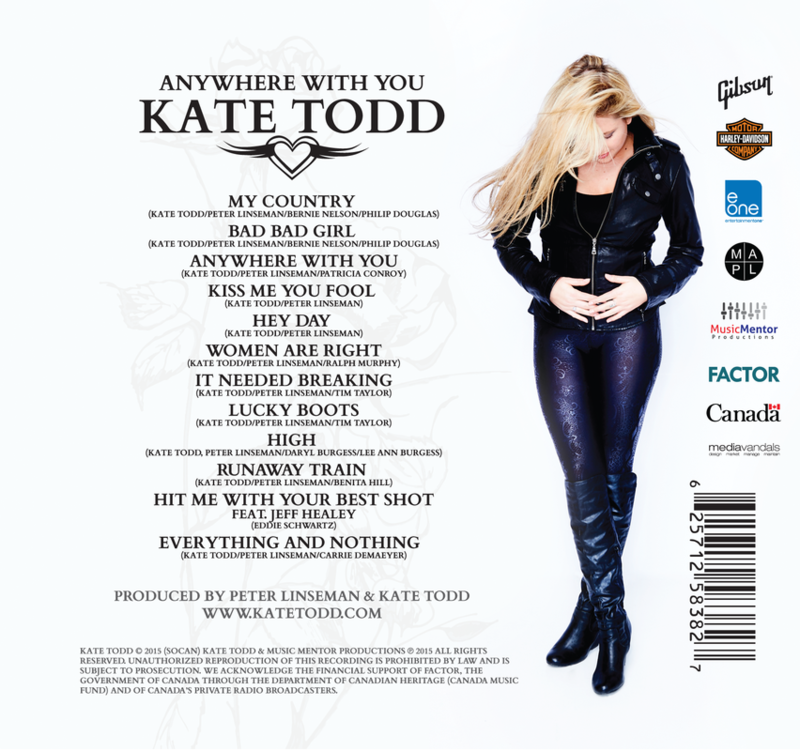 KATE TODD BAND ~ Boots & Bourbon Saloon Jan 23 2015! Wow, we had such a blast at my Hot Summer Night party that we're stoked to be invited back to heat it up again. Awesome we're coming back to Rock Boots & Bourbon full band style Jan 23 10p ~ 2a No Cover! ~ KT. HOLIDAY MIXER SIPO Foundation and Music Mentor Productions Holiday Party!!! The Revival: 783 College St.
Great article in The Spill that featured all of our artists, nominees and Toronto Independent Music Awards (TIMA) Best Live Artist Award Winner - Stephanie Braganza! 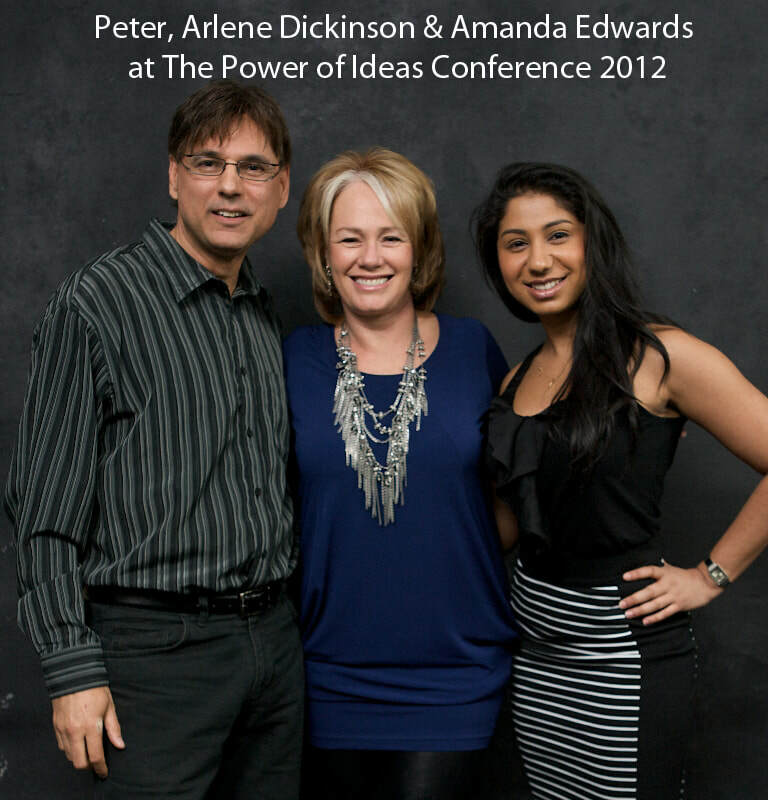 Peter Linseman became a SIPO Foundation founding director when the board was formed after speaking at the 2012 'The Power of Ideas Conference', alongside keynote speaker Dragon's Den’s Arlene Dickinson.